April 12, 2016 By Chelsey 4 Comments This post may contain affiliate links. Read my disclosure policy here. 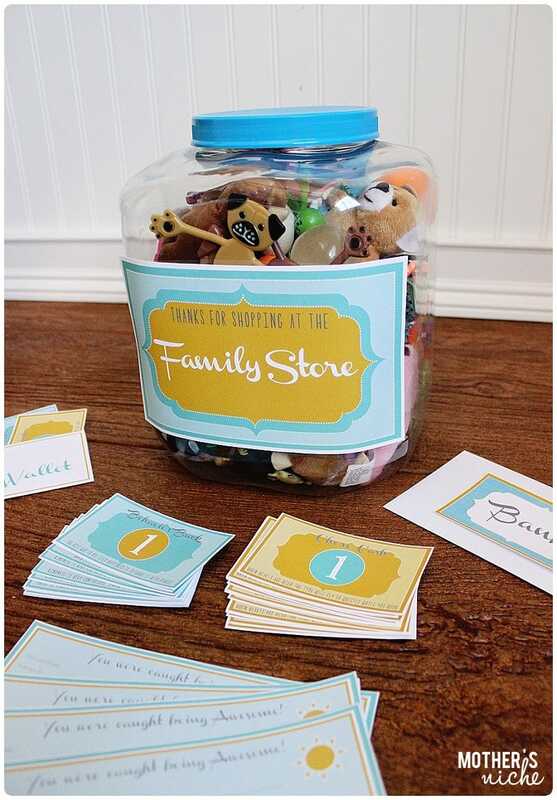 Allow your kids to earn Behavior Bucks and Chore Cash to buy little prizes at your Family store. This will encourage your children to be kind and helpful throughout the long summer. This positive reinforcement will keep them motivated and happy all summer long. All printables provided. FREE for Personal Use. It seems like every summer the kids struggle off and on with being kind and helpful. When four kids are together night and day there is bound to be butting of heads once in a while. I needed a plan for a fun and exciting summer. Something that would encourage good behavior and keep them motivated. My children do not do well with negative reinforcement. They push back and pull away. It just makes things harder. 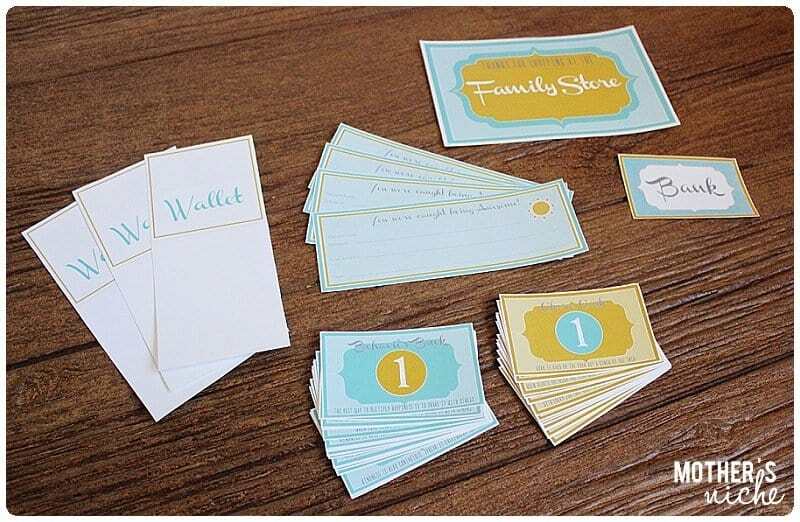 So when I created this summer family store I knew I would focus where they thrive…positive reinforcement. Start by printing the provided PDF’s to start your store. I usually take a flash drive with the downloaded PDF’s to a print store. Print as many copies of each PDF as you think you will need for your family. Print at least one of each but more of the “Money”. Remember the money will be reused over and over as the kids purchase things so you don’t need too many copies. Cut out the labels and money. Attach the Bank Label to an envelope to store the money not in use. 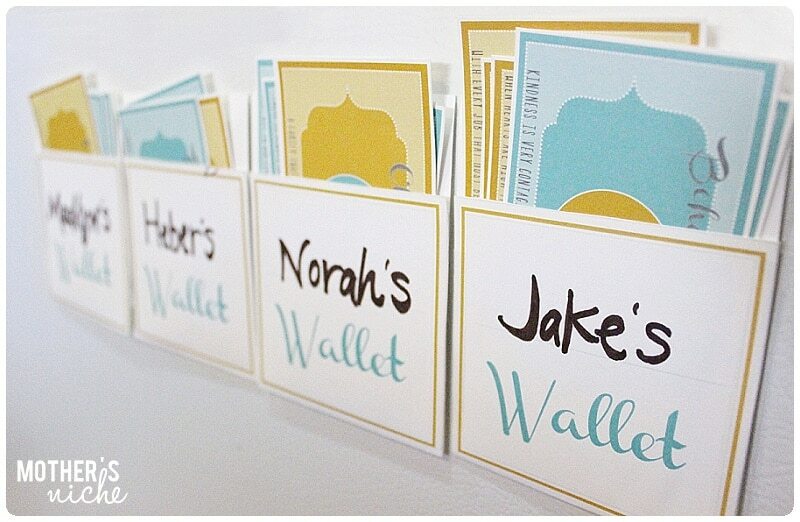 Cut out wallets and write their names on them. Fold on the line and tape the sides together making a pocket. Stick on the refrigerator or another visible area that the kids can reach. 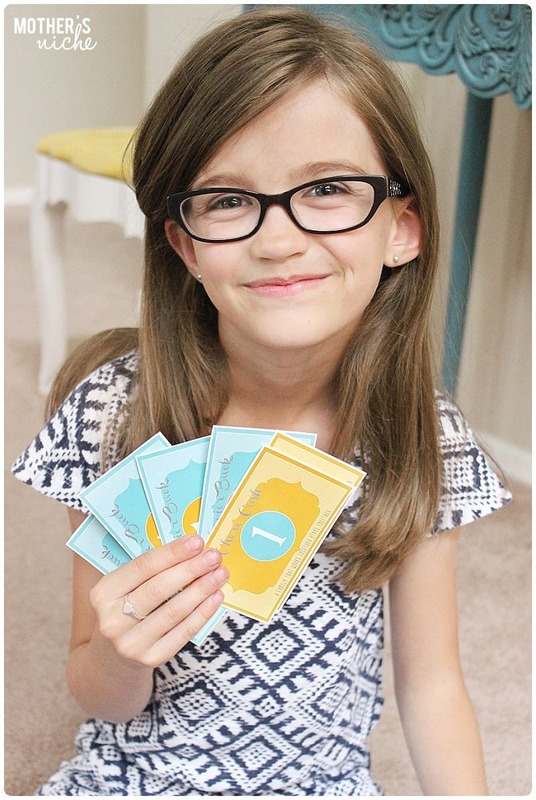 Let the kids learn to manage their money and watch their good deeds add up. For my prizes I got lots of little miscellaneous prizes from ORIENTAL TRADING CO, as seen HERE. I also found large prizes at a Dollar Store. 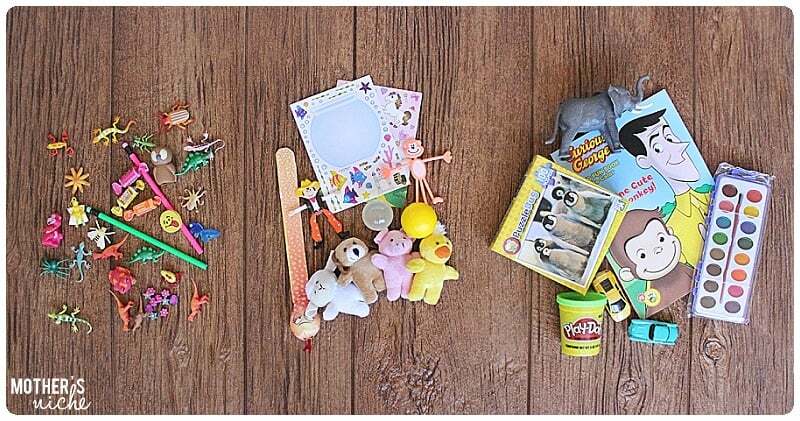 When buying items to sell, it’s a good idea to get a variety of sizes that you can sell for different amounts. Below are some ideas. 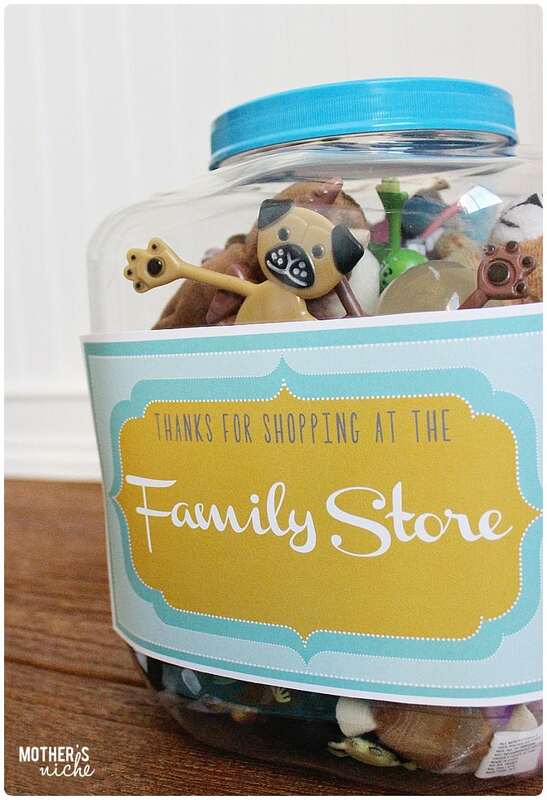 Put prizes into any type of container and attach the Family Store Label. The large items I kept separately in a bag and pulled it out with the box in the morning. I had a photo organizer box in mind for my prizes, but then I found an empty plastic animal cracker container and decided to use that instead. It proved to be very beneficial. The kids could see the prizes and they were figuring out how many dollars they needed to get all the things they wanted. It was very motivating, and bonus points to me for getting them to use their math skills! First, establish your store. Decide how and when you will be giving out the money and explain this to your children so they know what you are looking for. 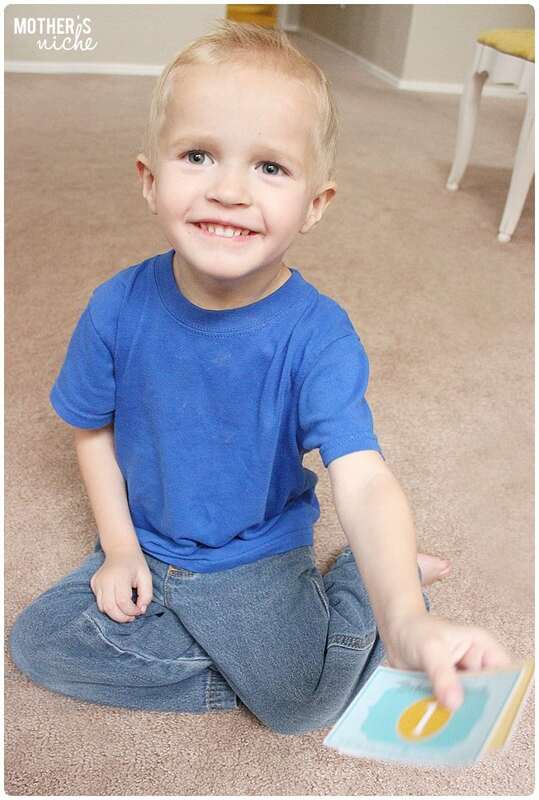 Behavior bucks are given for doing kind things to others, being a good listener, being a peacemaker, etc., whereas, Chore Cash focuses on getting chores done around the house. Doing them quickly and neatly, and having a good attitude about doing them. I like to present them the money in person and tell them “Thank You for doing a great job.” My kids need that! Notice the motivational quote at the bottom of the money. As I gave money to the kids, I read them the quote to encourage them to keep up the good work! Then decide how you want to price your items at your store. They must have at least $2 to go to the store (this was so they could see their money or good behavior adding up). I open the store in the morning for 30 minutes. If they have money they want to spend they can do that at this time and they can also quickly do there morning chores and have more to spend. Use the “You were caught being Awesome” checks printables provided. These are given out as desired when you catch them doing something above and beyond. Fill out the certificate as though you are writing a check to your child. On the Memo, add an encouraging note or specify the reason they are receiving the award. MEMO – Thank you for cheering up your brother! We’re proud of you! Then, sign it Mom and/or Dad. I like to present it to them at a quiet time when everyone is around to see and make a big deal out of it. It gets the other kids excited about doing something Awesome too! Remember to explain every aspect of the store to your kids so they know what is expected of them. Get them excited and be enthusiastic about the store. Have fun with it! Once every week or so add a few new items to keep their interest. Even ask for requests. Also, make sure that any other person (spouse, babysitter, etc.) who watches your child sticks to the same routine. 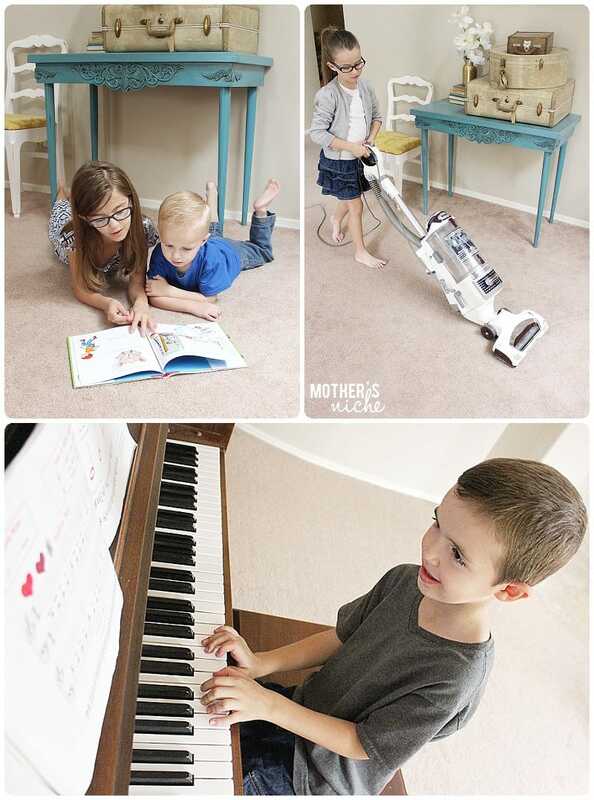 What awesome easy ideas. They look like any age group could use them. I can’t wait to get them printed off and be ready when schools out. Thanks for the great suggestions.